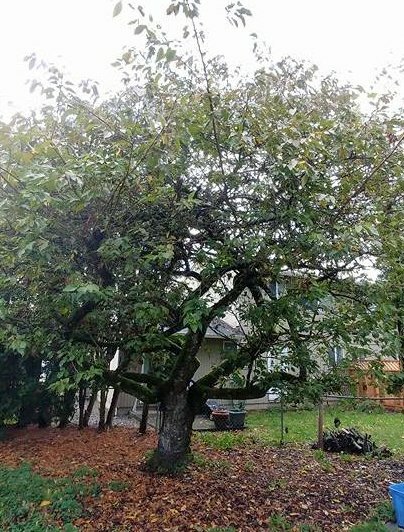 My wife and I have a cherry tree in our backyard. It’s a nice enough tree, as trees go. It’s not too big, its roots aren’t intrusive, and it looks nice and creepy in the fall, as trees should. And yet, although the tree has several good things going for it, there is one flaw that my wife and I just can’t overlook. In fact, this flaw is so large, that we recently have been contemplating having it cut down. What is this flaw, you ask? It is a non-fruiting tree. Sure, it has nice points, but we’ve been thinking of what else could go in that area, and really, the tree doesn’t serve a purpose right now. I feel like a non-fruiting cherry tree should really just be called a “tree”. The name “cherry” infers a purpose, doesn’t it? A cherry tree produces cherries, right? I wonder, if we applied this same logic to Christians, how many of us would be “non-fruiting” trees? How many of us would not be fulfilling our purpose? 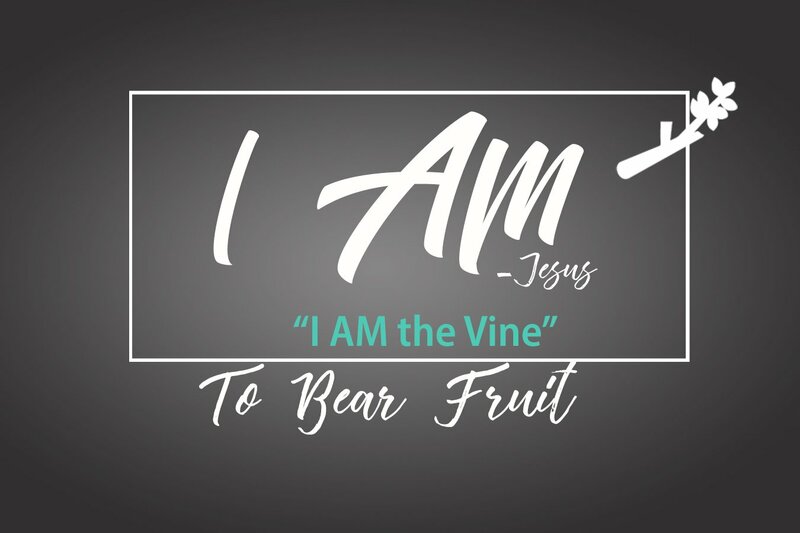 “’I am the true vine, and my Father is the gardener. He cuts off every branch in me that bears no fruit, while every branch that does bear fruit he prunes so that it will be even more fruitful. You are already clean because of the word I have spoken to you. Remain in me, as I also remain in you. No branch can bear fruit by itself; it must remain in the vine. Neither can you bear fruit unless you remain in me. Christians are meant to bear fruit. We are meant to produce for the Kingdom. When we do not, we are not serving our purpose. And if we aren’t serving our purpose…well…what’s the point? If we aren’t trying to grow the Kingdom in some way, growing the Church, serving in some way, making use of the talents God gave us, then what is the purpose of having those talents? We are meant to bear fruit. Do what Jesus said. Do what Jesus did. Just like a branch that’s been cut off from a tree can’t grow new fruit, there’s no way that we can bear fruit apart from Jesus. That’s something worth repeating, just in case you didn’t get it the first time. Just like a branch that’s been cut off from a tree can’t grow new fruit, there’s no way that we can bear fruit apart from Jesus. Remain in Him. Do as He did. Bear fruit. Otherwise…what’s the point? 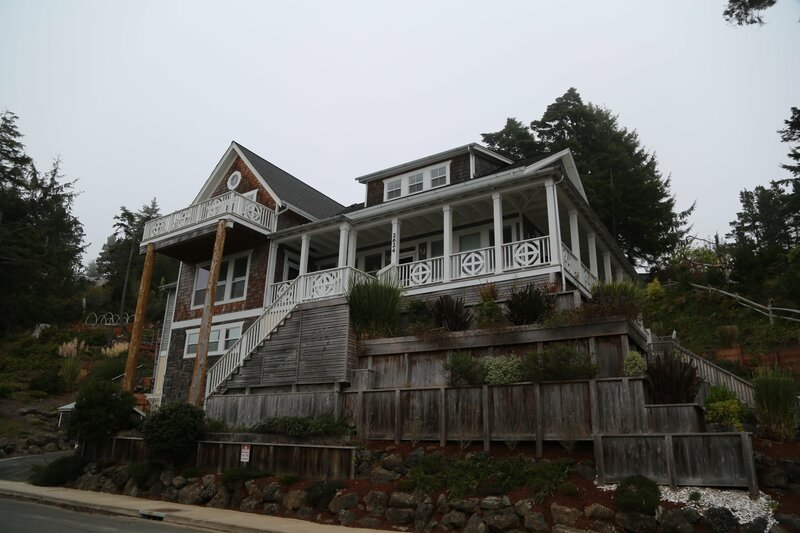 A few weekends ago 31 women came together for an amazing weekend in Lincoln City at The Dawn Treader Retreat House. 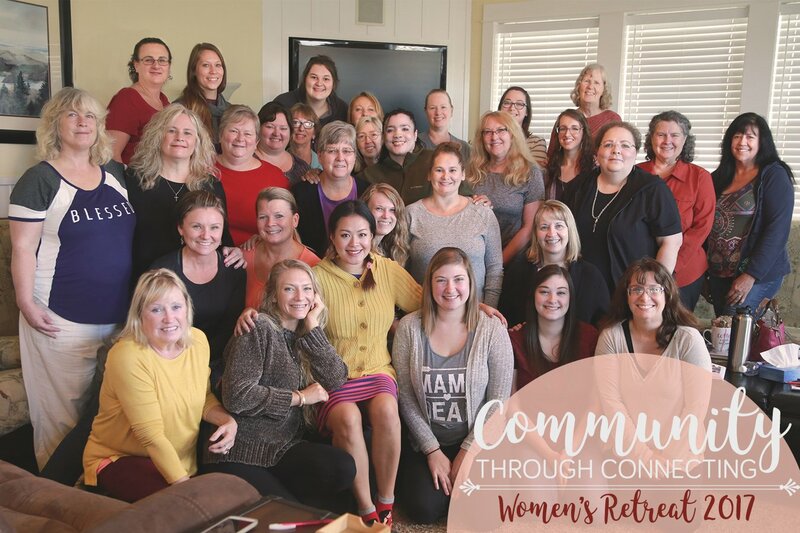 During our time together we pursued the idea of community through time spent in individual solitude with God, discovering what it’s like to draw nearer to Him in silence and rest, and in time spent together connecting with our sisters, drawing closer to each other. It’s beautiful to see God working through the hearts of women. We worshiped together, prayed for one another, encouraged each other and, of course, ate our fair share of bacon and other delicious meals. What a blessing to be able to go away for a weekend, learn what God has for each of us, and come back refreshed and renewed in Him. We are grateful for God’s timing and leading over the past several months as we prepared for our 2017 retreat, and for each woman in attendance. We are already looking forward to our 2018 Fall destination retreat to Lincoln City once again. In the meantime, be watching for more events in the near future, like our “2nd annual Sock-ing Stuffers Exchange” planned for Dec 10th and our annual “All-church Chili Feed” in January. Plus, for the first time ever we are hosting a repeat of this years retreat in the Spring to be held at Harvest Christian Church…more details coming soon. “Don’t be Anxious, I am going away to be with the Father, but I will not leave you alone.” In this passage, Jesus announces that it is now finally time for him to depart, after saying as much four times in John’s gospel. When trying to understand scripture, especially narratives loaded with emotion, I try to place myself (as much as leaping 2,000 years will allow) in the context. The disciples have experienced life with Jesus which was for them both perplexing (“but they didn’t understand what he was saying”, see Mark 9:32 among others) and exhilarating as they were witness to the Kingdom of God operating in the present! Each day held the potential of events filled with emotion. The blind see, the deaf hear, the dead are raised to life – all happen amidst the daily possibility of suffering at the hands of societal and religious leaders. Try to put yourself in their place, remember a time, perhaps in childhood or later when you were faced with someone in your life leaving you. Even if the event was only for a short time, the absence of the person left a void in your day to day life. Here, the disciples are facing the total loss of Jesus’ presence, so they think. They would undoubtedly take comfort in the future promise, but that does not dull the pain of going on without his presence.The mystery of the persons of the Godhead should not obscure the fact that true to His promise, Jesus will be with them in the person of the Holy Spirit. I have had the opportunity to study the Bible as an undergraduate student and then later in seminary but it wasn’t until serving in Czechoslovakia that I began to learn the necessity of living in the same promise given to the first disciples, “I will be with you until the end of the age,” Matthew 28. While I have many stories that illustrate the active counsel of the Holy Spirit I will share one short one here. While visiting missionary friends in another central European country I accompanied them on a trip to the Russian border where they were coordinating a ministry with a well known Christian singing group from the USA. After a stopover, the singers continued on to their final destination. Unfortunately, one member of the group got lost. The group had no choice but to continue without him. Somehow the lost member was able to contact his mother in the states and she, in turn, contacted the leader of the singing group.He had purchased a train ticket and would travel to Budapest hoping that someone could meet him there and reunite him with the group! Since everyone else was busy and had a job to do, I was asked to travel back to Budapest, find him and get him back to the group. 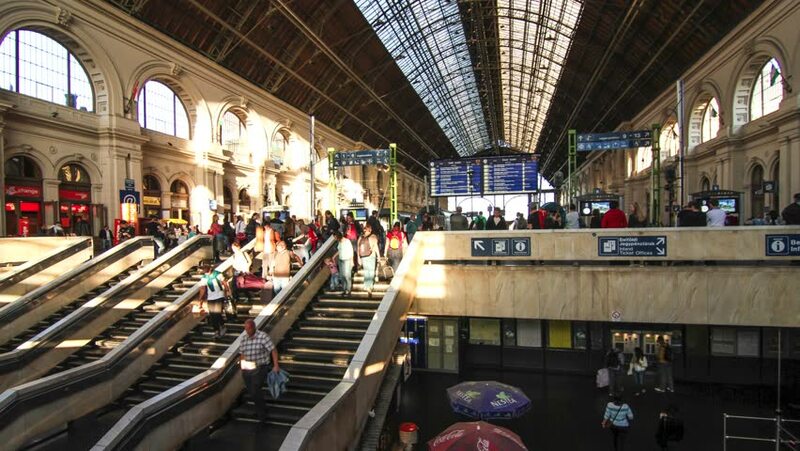 A few problems made this difficult: First, there are many trains that come into Budapest day and night, and we had not been given any specific information. Secondly, since I had never seen the missing person and all I had to go on was a description of the clothes he would be wearing and the knowledge that he had been in an auto accident that left him with a facial scar and loss of short-term memory. When I arrived at the train station, I found it teeming with people, a few animals, vendors everywhere, all in constant motion amidst a cacophony of sounds. Faced with the circumstances, I wanted to return to where we were staying even though that meant admitting defeat. But, I had been entrusted with an important task, and my conscience would not let me give up. I stopped and prayed, “God you know where this person is and which train he will come in on today please show me.” Hour after hour, train after train came in on the many tracks. I watched every single departing person but no one meeting the description I had been given emerged. As I began to pray again a thought came to mind (it was so against my normal character that it had to be the Holy Spirit), “he will be on the next train that comes in, on the far track.” Hesitant, but without other options I watched as the train pulled in and people stepped off. No one matching the description could be seen. Another thought came, “Just yell out his name and he will separate himself from the crowd, and you will recognize him!” I argued saying I don’t do such things. In fact, that would be way too embarrassing! Again, no choice so I called out in a low voice but no response, several other tries led to nothing. “Yell, the inner voice said!” So going against my whole being, I yelled his name! I was amazed to see him slowly walking toward me. Getting closer, I saw the scar. After a short chat, I told him I had purchased a ticket for him, but we had only about 10 minutes to get him to the train at the other end of the station. My relief was short lived as he said something I couldn’t make out and pulled away from me and was immediately engulfed in the mob! 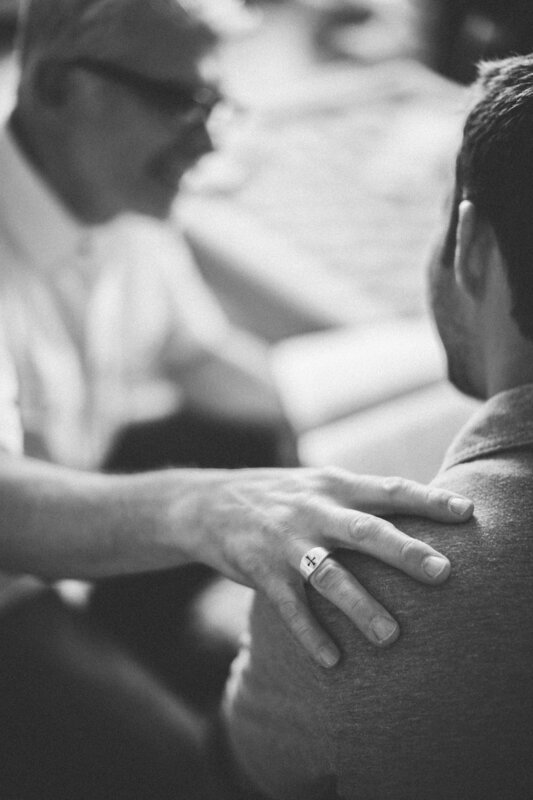 By now, even though I am a slow learner, I knew my only option was once again to trust in the presence of the Counselor to guide me in my latest emergency. My prayer wasn’t long or very spiritual, I simply said, “Lord, I only have a few minutes to get this man to his train. You know where he is and you know where I am.” Looking up I could see that four entrances emptied into a single area, so I prayed, (hoping that I was not foolish or offensive) “I will walk through this entryway into the common area, please have him meet me there.” I walked ahead, and the very second I arrived my missing person burst out from the crowd! I grabbed his hand and pulling him behind me got him on his train with only a few minutes to spare. 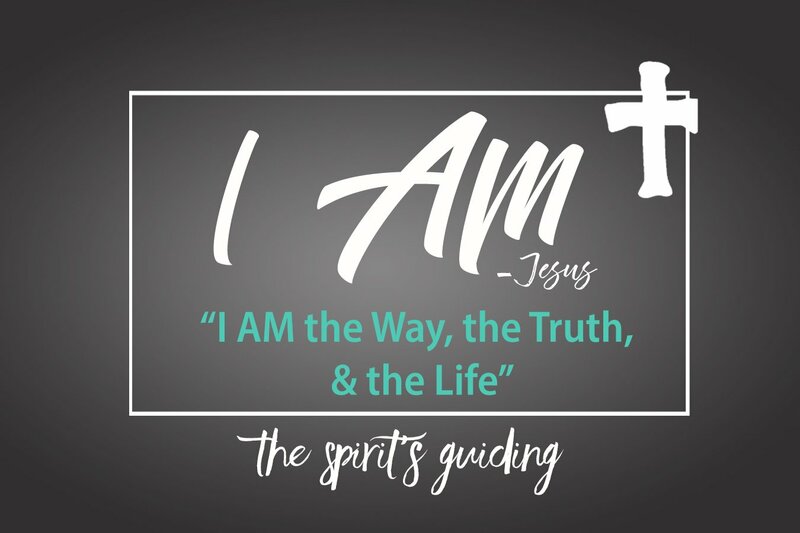 Our next decade living and ministering in Czechoslovakia (now the Czech Republic) demanded that I live daily, moment by moment at times, trusting in the presence of Jesus in the knowledge that there was no situation that was impossible. While I look forward to the future promise of being with Jesus in the presence of the Father, until then I rejoice in the awareness that God’s kingdom operates in the here and now.I am fully aware that all ministry is Jesus’ ministry and He chooses to accomplish it through each of us as we entrust ourselves to Him. What is life, and where did it come from? When we die what happens to our life? Answers to these questions have not been obtained using the disciplines of science. Usually scientists can conceive of some idea or theory or method to unlock secrets of our existence but the mystery of life is so profound that no one has any idea how to investigate it. There is a reason for this. Life, like energy/power originates from outside the box we call a Universe. Unless one believes that God exists the questions cannot be answered. Life comes from God.1 If we have questions about it we should consult with Him! Everything dies. Old cells are replaced by new cells, old creatures are replaced by new creatures, and old humans are replaced by new humans. This sounds like an idea drawn from Ecclesiastes but the implications of this observed truth resonate within me when I see liver spots on my hands, a lined face, and gray hairs reflecting back at me from the mirror. I am going to die and from the looks of things I am headed that direction faster each day. Science has its own problem trying to figure out life excluding God from the equation. My problem is more basic. What happens when my life leaves the tent it inhabits? Generally, religion is associated with philosophy about good and bad, or right and wrong but Jesus is not a philosophy to adopt. 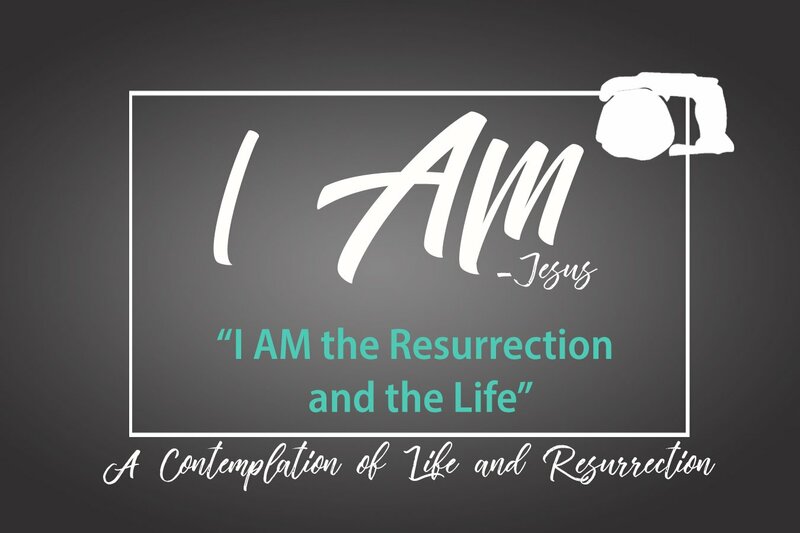 He testifies about Himself that He is resurrection and life and that should be of interest to the whole world, not just me with my gray hair and liver spots. Resurrection is the central truth of Christianity. Jesus came to save the world from eternal death which in scripture is not oblivion but existence without even one single goodness or provision of God. In a parable Jesus described death without God as: existence without mercy, agonizing, yet being conscious of our misery.4 It is outer darkness (ignorance and lack of understanding) away from the light of God where there is weeping and great anger (gnashing of teeth).5 That is the fate of every human who has lived, or will live without the resurrection and the life. When Paul writes to the Christians in the city of Philippi he associates knowing Jesus Christ as Lord with resurrection from the dead, …”that I may know Him and the power of His resurrection and the fellowship of His sufferings being conformed to His death: in order that I may attain to the resurrection from the dead.”.6 When we are baptized into Jesus we ‘are conformed to’ His death so that we might attain the resurrection.7 Baptism is much more than an outward sign of an inward change. It is where we ‘die’ to our fleshly thoughts, desires and motives and experience new life with help from Heaven. It is not our initiation, it is our decision to be found in Jesus and the Life that He is. The good news (gospel) leads us to baptism where we enter into new life in Jesus. Sometimes I do not feel like I have new life because the devil reminds me at a weak moment where I came from, or, a thought or attitude I no longer want to nourish crops up. At these times I am thankful that New Life is not based on my feelings, but on God’s promises. New Life is where I am going, not where I came from. Peter James and John were witnesses to a conversation that Jesus had on a mountainside with long dead people.8 Elijah (who lived about 800 years before Jesus was born) and Moses (who lived about 1400 years before Jesus was born) had a conversation with Jesus that the three disciples saw and overheard about Jesus’s impending death which in the text of Luke 9 is described as a departure. Although Moses and Elijah (as well as Jesus) were radiant during the exchange the disciples recognized them perhaps by the nature of the conversation. Several things stand out here the most obvious being that death is not oblivion. It is just the end of the first chapter in the existence of one who is ‘in Christ’. Also, these two ancients were in comfortable conversation, like friends, with Jesus. Their intellects and personalities were preserved and active. Is this in store for you and me someday? I do not like death but departure has hope to it. The children of God get to depart the tent and move into radiant permanent digs9 unencumbered by aches and pains, fears, sorrows, or distressing thoughts. We don’t have any sheep now, but we do have a couple of cows. When we are out in the field we learn about them and their nuances. The cows will usually come when we call, especially if we are holding a feed bucket. They understand what fences are and are even willing to get close to strangers if there is a fence between to protect both themselves and the people. If you look them in the eye, you can’t get as close as when you are spraying weeds with your back turned. Then you might turn and notice that they are a couple of feet behind you, wondering what you are doing. They won’t do this for just anyone; but with those they know, they feel safe enough to follow. We did have an encounter with a man who was a good shepherd up in Washington one time. We were riding along on a mountain road and saw ahead that sheep were crossing the trail and had been crossing for some time, since they already stretched on for a quarter mile or so. We waited there for ten minutes, as the sheep continued to cross, before the shepherd’s dogs arrived. They were protective and kept us at a distance. Soon the shepherd came along, leading the last 200 hundred old and lame ewes. With his limited English and my broken Spanish, we talked for a while. He shared that he was taking the sheep to a different pasture and to where there was some good water. He carried a rifle and shared with some pride that he had even shot a cougar a while back. I asked how many sheep he had, and he replied that every time he tries to count them he falls asleep. (Sorry, I just couldn’t help myself.) There were about 1800 in the flock. It was lonely work; but you could see that he had the flock’s best interest at heart, and they felt comfortable with him. Oh! 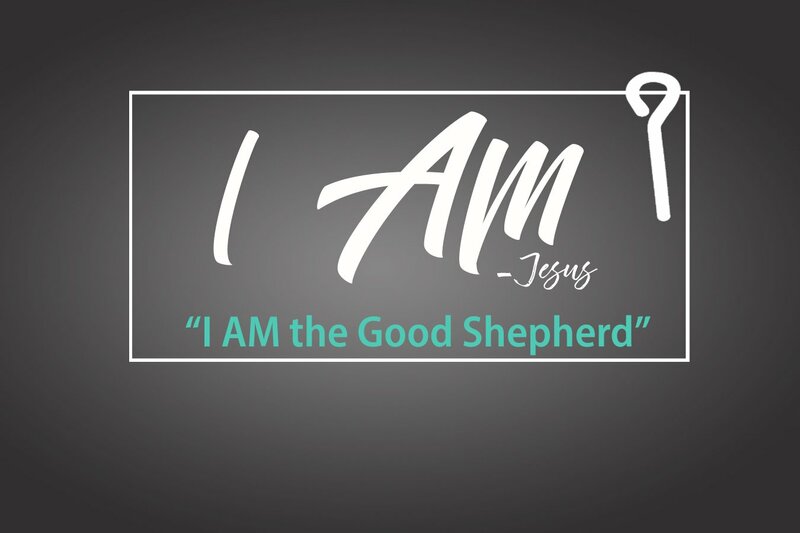 How great the feeling to have a shepherd to lead and guide us, not just once, but on a daily basis…someone who loves us and has our best interest at heart even when we can’t see it. John 10 tells us, “The sheep listen to His voice. He calls His own sheep by name and leads them out. When He has brought out all his own, He goes on ahead of them, and His sheep follow Him because they know His voice. But they will never follow a stranger; in fact, they will run away from Him because they do not recognize a stranger’s voice.” Jesus calls to us; and so often we even recognize His voice, but we want to follow our own way or even a stranger’s voice. 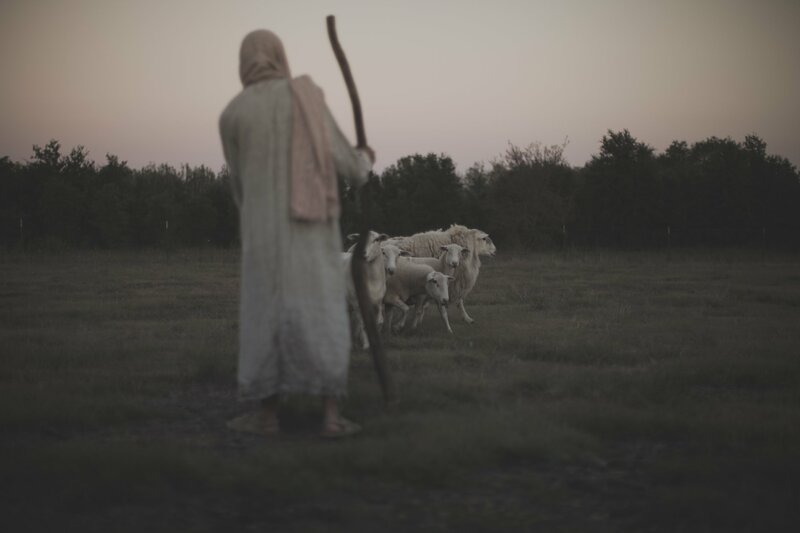 Most of my frustrations and failures in life have come from not following the Good Shepherd. He is there waiting for me to return back into the fold, but He is not just waiting; he lays down His life for the sheep. Lord, help me to know your voice more each day and to learn and choose to follow you.